Formed in the late 1960's by Dennis Powell, Conversions & Tuning (C&T) were one of the last companies to really take advantage of the tuning boom in the 50's & 60's. 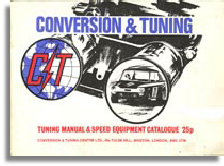 Based in Brixton, South London C&T produced an ever widening variety of tuning components for a massive range of cars. Although not specifically A Series specialists they offered a variety of tuning options ranging from mild road conversions to more exotic race applications. 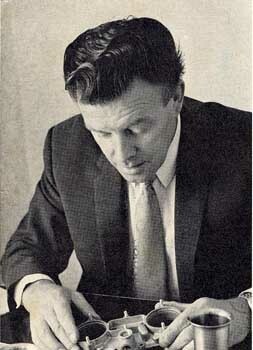 C&T were one of the few companies to survive the lean days of the early 1970's to go on well into the 1980's and possibly beyond. I can certainly remember their advertisements from the 1980's. This comprehensive Tuning manual & catalogue gave lots of interesting & useful data on tuning principles in general as well as full details of the products offered by C&T.